Technology – Steal These Thoughts! Data is a powerful resource in today’s world, even more important than oil to some communities. Yet I’m always hearing that people aren’t getting the data they want. In the learning industry, I find we always talk about the modern learning philosophies, skills and experiences our people need, but rarely do I see or hear anyone talk about the skills and experience modern learning professionals need to navigate today’s world. This piece has been inspired by three things, one being a recent post I shared on LinkedIn that you can view in the picture below, a lyric from a new song by Slipknot and a movie called the Intern starring Robert De Niro and Anne Hathaway – an odd combo I’m aware. My context and aim in releasing the LinkedIn post was initially to start a conversation on not discarding what we already have in favour of what’s on trend. It the days after I posted this, I began reflecting on what this philosophy could mean for many areas of life and in particular in the fields of learning an marketing which I operate in. The top 21 thoughts of 2018 that will make you a badass in 2019! This quick post contains a treasure trove of the top free content that I’ve shared in 2018, all neatly packed into those lists that we all love at this time of the year. Enjoy, share, let me know your thoughts and don’t forget to subscribe to my newsletter for a collection of stuff like this every week. Alexa, can I trust you? Is it normality that we really fear? That’s it folks, I hope you have a happy and healthy 2019. 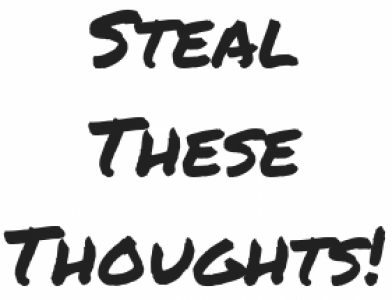 You can subscribe to my weekly “Steal these thoughts” newsletter here. Life hack, mind hacks, body hacks – is there no end to the hacks? Instead of trying to find some way to get the top results in the fastest possible way and ignoring the principle of learning how to really achieve the thing you want – actually do the work and take on the tough road ahead. Our culture of “hacking” is coming at a price of missing out on key learning experiences that let you develop the knowledge and practices you need to achieve a goal. Hacks are fast track methods to quick short term wins, the long game and hard Road is where long term wins are made.